The boom in Australian real estate sales to foreign investors has run its course, with NAB’s latest survey results continuing to highlight a decline in foreign buying activity resulting from policy changes in China on foreign investment outflows and tighter restrictions on foreign property buyers in Australia. 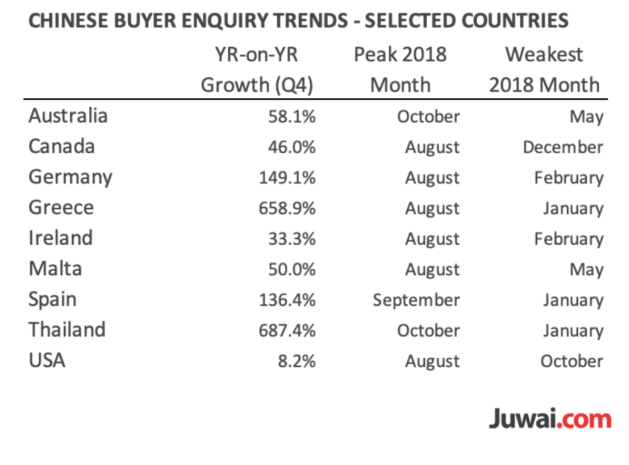 In Q3, there were fewer foreign buyers in the market for Australian property, with their market share falling to a 7-year low of 8.1% in new housing markets and a survey low 4.1% in established housing markets. MB believes the withdrawal of Chinese buyers is likely to continue. As China slows this year it will eventually be forced to cut its own cash rate. That is going to pressure the yuan lower and trigger capital outflow. Given the danger that poses in an exacerbated trade war (and other current account risks), this will result in even more Chinese capital account tightening meaning that Chinese individuals and businesses will be unable to get money out of China and may, in fact, be forced to repatriate it. We see this process as structural and irreversible. Original post from Macro Business.